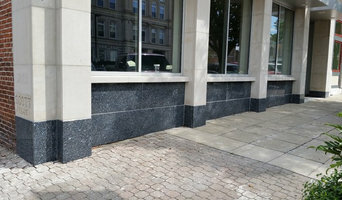 Custom Stone Products was founded over a decade ago and is family owned and operated by Brian, Chris, andMatt Puttmann. We own several other businesses and are well-established and respected within the community. We offer a full line of Premium Natural Stone Products, as well as, several Engineered stone products, recycled products, and solid surface materials for both residential and commercial usage. We offer a wide variety of services and items to assist you in your remodeling project including but not limited to: Design, Installation, Fabrication, and Project Consultation for your counter tops, cabinets, fireplaces, hearths, mantels, bathtubs, kitchens, sinks, showers, thresholds, and vanities. Custom Stone Products was founded with one guiding principle in mind: "To be successful, you have to have your heart in your business, and your business in your heart". -Thomas Watson, Sr. At Custom Stone Products, we truly value the work we do throughout Indiana. We strongly believe in providing the highest quality products at reasonable prices. We strive to give the best service and pride ourselves on being honest and transparent with our customers. Our success in Indiana has afforded us the opportunity to purchase state of the art equipment, expand our showroom, and hire some of the most skilled employees in the field. Our strong relationships with residential and commercial customers, builders, architects, and designers, is a testament to our dedication to fair and honest dealings. We aspire to grow and continue the practices we founded Custom Stone Products with in mind. Installation and sales of all types of tile including ceramic, porcelain, natural stone, and marble. 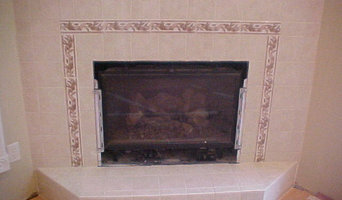 Specializing in wall, floor, kitchen backsplash, shower, tub deck and fireplace surround installations. Additional services include removal of existing subfloors and installation of concrete board. American Tile & Sales Co., Inc. has provided high-quality materials for floor and wall installations for over fifty years. Our showroom features products from dozens of suppliers including ceramic wall and floor tile, carpet, hardwood, laminate flooring and vinyl. We also manufacture custom countertops. We specialize in hard-to-find items as well as providing design assistance for kitchen backsplashes, fireplaces, tub surrounds or other design needs. Bring in measurements of your area and our staff will assist you in figuring your order. Our showroom is open Monday through Friday from 8:00 am until 5:00 pm and on Saturdays from 8:00 am until noon. No appointment is necessary. Vad det gäller köksbänkar är bänkskivor i sten och trä vanliga. En stenbänkskiva är snyggt i allt från svart granit till ljus marmorbänkskiva. Inreder man däremot ett klassiskt kök kan man satsa på en vit bänkskiva eller en i björk. Det är enkelt att rengöra en stenskiva precis som behandlat trä. Vill man ha en bänkskiva i sitt badrum kan man be en kakelsättare i Tecumseh, IN kakla ytan så att den går med badrummet. Här är ett tips att köpa vacker mosaik för att bryta av vitt klinker. Oavsett om man väljer kakel till sitt kök eller badrum så finns det mycket att välja mellan. Väljer man plattor till något mindre, så som en bänkskiva, så är det snyggt att köpa kakel i en stark färg eller roligt mönster.